Babbel is a premium, subscription-based language learning app trusted by more than a million customers with more than 12 languages on offer. The Babbel app is available in all main devices (Web, Android, iOS) and has a flexible, intuitive interface. The lessons are developed in-house by their own team of linguists and are focused on speaking and developing everyday language skills you can use right away. 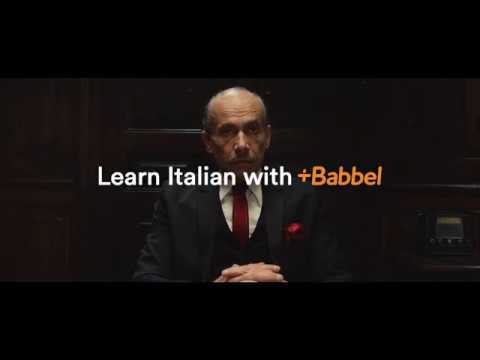 Babbel is a subscription-based service and offers a free trial. Their customer service is known to be efficient and may be contacted by phone, email, and chat. Babbel offers four methods to help you learn a language: Sound Recognition, Picture Recognition, Spelling, and Fill in the blanks. When starting your first lesson, you are asked to choose between with or without speech recognition. If you choose with, a microphone is required. The first exercise in the first lesson (the greetings) starts by introducing you to a situational picture (such a men shaking hands) while letting your hear the associated word (Hola! if you are learning Spanish) along with the spelling of the word in both languages (yours and the one you are learning). In the second exercise, you are asked to type the word associated with the picture displayed. In the third exercise, you proceed to a dialogue where you need to fill in the blanks. These are translated so you don’t get lost. You can also replay each sentence if you didn’t understand it properly the first time it was pronounced. Babbel always combines sounds and visuals in the lessons to help you remember words or expressions better. Some dialog boxes also appear to provide additional explanation when needed. At the end of the lesson, you will see your score. Lessons can be skipped and you go back to ones you have finished previously. You can even opt for a daily challenge (available once you have finished a few lessons). Courses are available for both Beginners and Intermediate learners. Topics are sorted by categories, such as Grammar, Listening and Speaking, and Words and Sentences, which is great if you want to focus on a specific area (such as sports). You also have access to some unique and interesting courses, such as Countries and Traditions or Tongue Twisters. Be it on the web or on mobile or tablet, the interface is very clean, although some of the photos used appear too made up. The audio examples and dialogues are recorded by native speakers, not automated computers, which is great as you familiarize yourself with real human pronunciation. There are more than 8,500 hours of content available, although the quantity varies by language. The subscription available are for 1, 3, 6, or 12 months. Babbel accepts Visa, Mastercard, and American Express, as well as Paypal, and offers a 20-day money back guarantee with no questions asked. We also recommend checking the Babbel Magazine, which has lots of great content and tips, especially if you plan on traveling. A pllsniagey rational answer. Good to hear from you. Good at Grammar amd everyday conversations. A good and innovative way to learn a new language. Unfortunately, the app is expensive and the customer service/support is quasi non existent. Really easy to use and very clear instructions. I have been using the app for a year now without any problems. There had been an update recently and now all my progress are gone .(. But great app overall: with it, you will learn. Been using Babbel for 3 months now to learn German. Feel like I really made progress as I now understand and can talk to some of my German colleagues. The app looks and feels professional and is extremely convenient to use: exactly what I was looking for.